A trusted and effective method of replacing missing teeth is to use a custom-made denture. Either fixed or removable, dentures can replace multiple missing teeth or a full arch of teeth. Dentures these days are comparatively advanced in design so that it takes little time to get used to them in the mouth. Also, they are more natural looking and will be more comfortable once put in. When it comes to dentures, there are three main varieties, Partial and Conventional or Immediate Full denture. 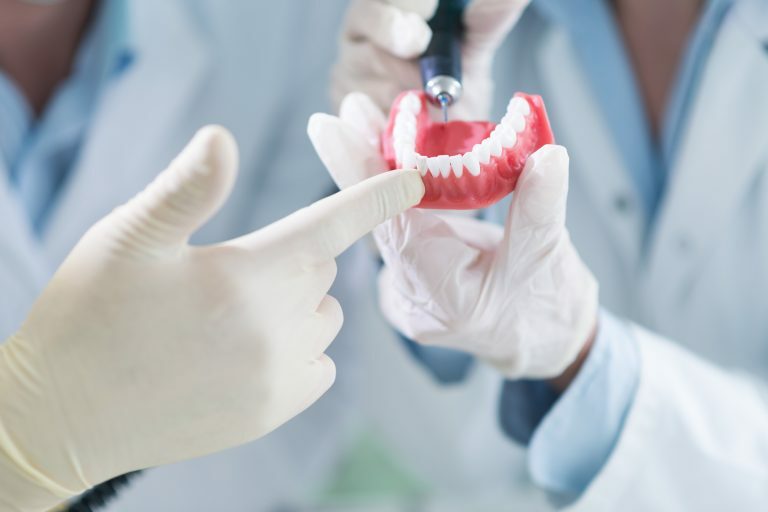 The dentist will help you pick the right type of denture based on what you need. When full dentures are chosen, an acrylic base with flesh color will be fitted over your gums. The base of the upper denture will serve as the covering of the palate, while the lower denture serves to suit and accommodate the tongue. A conventional full denture is put in the mouth after the remaining teeth are removed and the tissues are fully healed. The healing may actually take about several months, which indicates you may be without teeth in this duration. Immediate full denture is intended to be inserted right after the remaining teeth are removed. The dentist will carry out measurements and will make models of the jaw during the first visit. The nice thing about this type is that you no longer have to worry about not having teeth for a period of time. However, they have to be relined after a couple of months after the insertion. Partial Dentures are used to replace just one or a few missing teeth. It is designed to rest on a metal framework, attached to the natural teeth. In many cases, crowns put on some of the original teeth serve as anchors for the denture. Partial dentures are mainly picked as a practical and removable alternative to bridges.